Honor Flight Central Florida and Space Coast Honor Flight teamed up to serve 75 World War II and Korean War Veterans to Washington D.C. on October 19th, 2013. 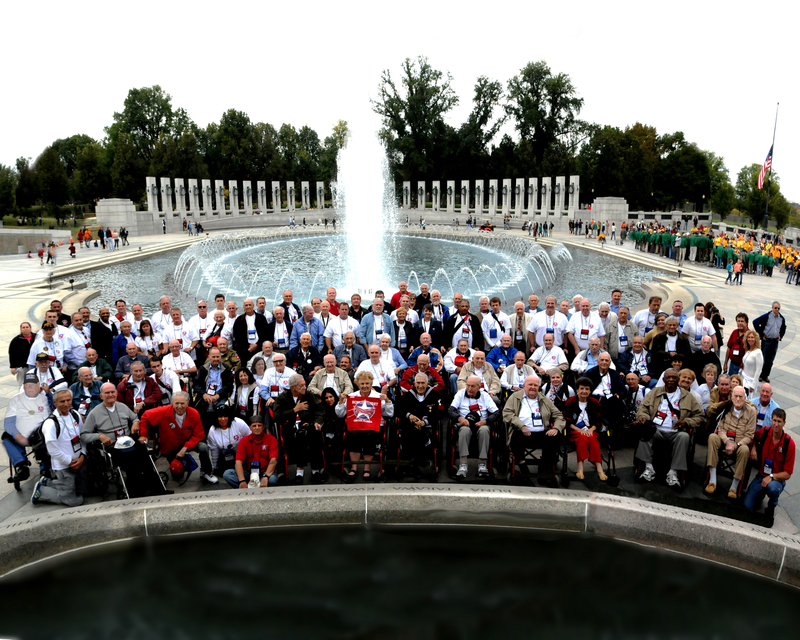 The group picture below shows Honor Flight Central Florida’s 50 veterans, their guardians and other support staff. it has been our privilege to serve you. Thank you again for your service. This entry was posted in Flights and tagged Honor Flight Central Florida, HonorFlight, Korean War Veterans, Space Coast Honor Flight, WWI Veterans, WWII Memorial by Honor Flight Central Florida. Bookmark the permalink.